Australian/Kiwi furniture designer Leonhard Pfeifer is a long-time Bondville favourite. I've been following his career since the late 90's when I first met Leon (a QUT Industrial Design graduate) and his talented collaborator and wife Karla. My personal connection made me extra-proud of Leon's win at Maison&Objet in Paris last week. 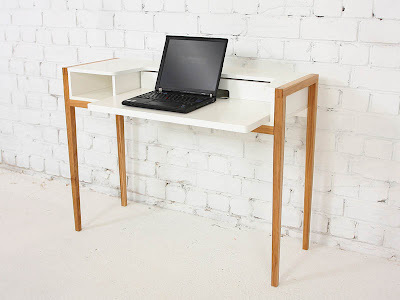 Leon's Farringdon Laptop Desk won the "les Découvertes" award for Loft category for its sleek design and small footprint. “les Découvertes” or “the discoveries” is selected by a jury of home fashion experts to recognise the most impressive new products of the show. Apart from looking pretty fabulous, the Farringdon Laptop Desk was designed for apartments and small living spaces, featuring an extendable work-top, solid Oak legs, an open shelf for papers and sliding worktop that integrates cable management. The desk accommodates laptops / flat screen monitors, external hard drives and phone chargers. 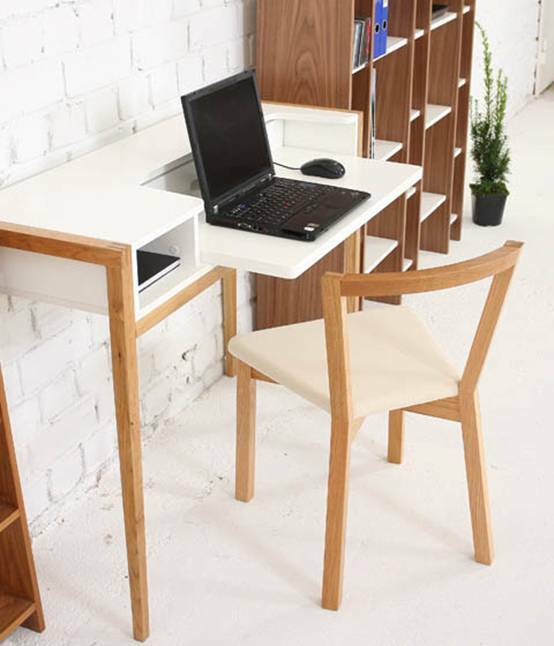 The Farringdon Laptop Desk (manufactured by European furniture masters Woodman) will be available across Europe from late 2010 for AUD$499 (£299 / €349). For more information, check out the Leonhard Pfeifer website.